For the surrounding seven-county area, comprehensive health care coverage originates in Griffin-Spalding. Here, a full complement of services, from home health care and assisted living opportunities to a myriad of practicing physicians and wellness activities, are available for the asking. For communities, families and businesses, Griffin-Spalding provides an integrated delivery system that stems from Spalding Regional Medical Center. For more than 100 years, Spalding Regional Medical Center has been providing care to the residents of Griffin-Spalding and the surrounding communities. 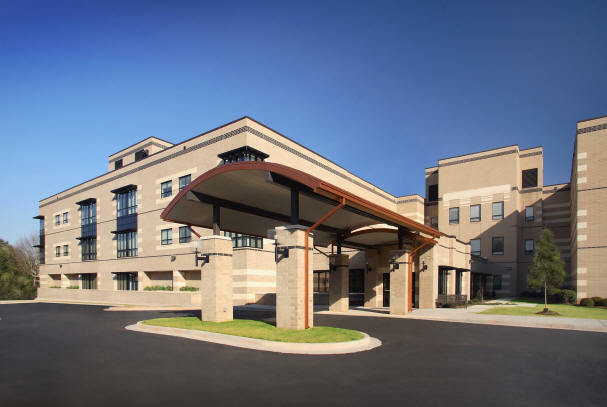 Spalding Regional Medical Center is a 160-bed acute care hospital that is fully accredited by the Joint Commission and has received national recognition for high-quality care. Spalding Regional has 165 physicians on staff and provides a number of services, including specialties in orthopedics, women’s services, cardiac care, cancer services, physical, occupational and speech therapy, sleep medicine and wound treatment. Spalding Regional’s Emergency Room is one of the busiest in the state and the hospital also provides the county’s Emergency Medical Services. Spalding Regional Urgent Care, located a few minutes outside of Griffin, provides quick, walk-in treatment for minor illnesses and injuries. For more information, visit www.wellstar.org or call (770) 228-2721.